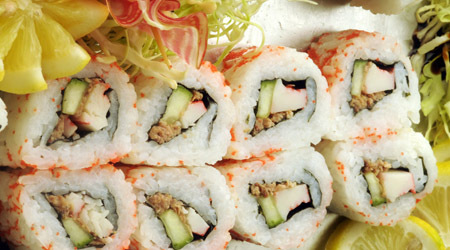 New Island Sushi is proud to serve sushi lovers in Saskatoon and the surrounding areas. But we also love convincing all the sushi skeptics out there! 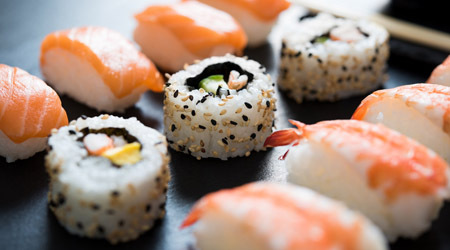 There are a lot of reasons to love sushi, and we’ve outlined a few of those reasons below. After reading through them (and realizing how yummy and great sushi really is), give us a call for takeout or stop in and dine in with us. These magic fats are necessary to keep your body running, but they also offer a variety of other health benefits as well. Fish oil can decrease your chance of heart disease, curb the effects of rheumatoid arthritis, and may even be able to alleviate symptoms of depression and bipolar disorder. Sushi is small! Pack it for lunch, picnics, and anything in between. 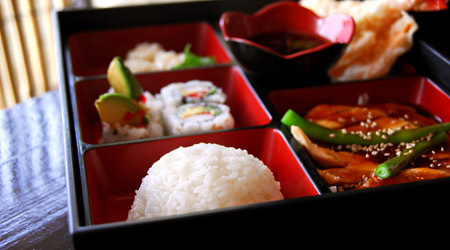 There’s almost no container too small for a sushi meal! Sushi comes in so many shapes and sizes. You can try a new flavor or dish every time you have it, and the combinations of each kind are endless. 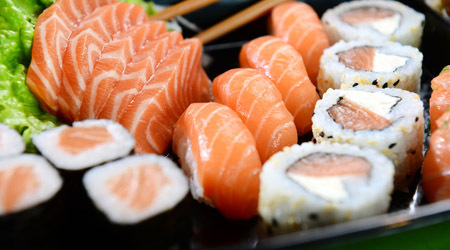 Sushi is never smothered in butter or other oils, and is chock full of protein and nutrients. No need to worry about breaking your diet with sushi. Even the word itself is fun. 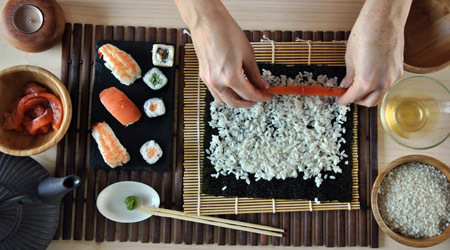 California rolls, teriyaki, sashimi: each one has its own textures, colors, and flavors. Not to mention eating with chopsticks is always entertaining, and dipping each piece in its own dipping sauce never gets old.